Forget about blackjack, baccarat and roulette, sports betting is the new form of gambling that is taking the world by storm. It involves individuals predicting the results of a sport and placing wagers on the eventual outcome. Sports betting can either be legal or illegal. Illegal sports betting is run by private individuals or enterprises called bookies. Legal sports betting is run by companies that have licenses called sportsbooks. Most of these sportsbooks also known as bookmakers, carry out their operations online. Sports betting is done on popular athletic, non athletic, and virtual sports such as horse racing, auto racing, snooker, hockey, pool, football, cricket, boxing, cycling, basketball, golf, tennis, baseball, rugby, Aussie rules football, bowling, and American football. Bettors usually have an account with a bookmaker of their choice. They deposit cash before placing bets. Placing of bets is guided by odds provided by most of the bookmakers or sports analysts. Odds are the ratio of the amount of money a bettor is supposed to win compared to the stake. Most UK formats for odds are in fractions. They can, however, be in decimals.’ Odds on’ mean there is a high possibility of an event happening compared to the odds, while ‘odds against’ means the likelihood of the event happening is minimal. If the individual wins, the cash is sent to their account. Payout time is different for different bookmakers. Withdrawal options include Usemybank, Echeck, Entropay, NETeller, debit/credit cards, Skrill, InstaDebit, DBT, Ukash and Click2Pay. 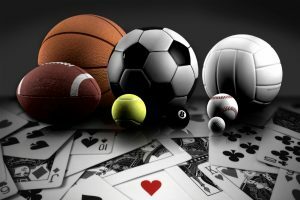 Since there are so many options to pick from when it comes to sports books, bettors look for attractive features such as offers and bonuses, high odds, security, ease of cash withdrawal, and a variety of sports to bet on. The most popular sports books in the UK are William Hill, Coral, Skybet, Unibet, Sport Pesa, Pinnacle, Mr Green, Betway, BETVICTOR, Paddy Power, Ladbrokes, BetFred, and Tipico. Some of these bookmakers go on to sponsor major teams like BetWay with West Ham United.